A broken, dying stump, the remnant of a once strong tree now forms the beautiful foreground for this picture I recently shot. Much of what I do in helping pastors and ministry leaders in pain is to guide them to get perspective. For so many the youthful hopes of this life and ministry impacting the kingdom are now nothing more than memories of what could have been. 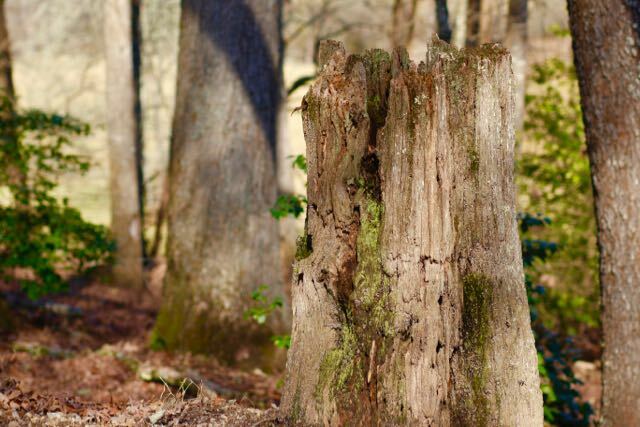 Rather than towering as a tall tree, the life of the pastor, reduced by years of failure and resistance by others, now sits, an insignificant stump in the landscape of all God does through the apparent successes of others. Yet, here there is victory, and meaning. Once his troubled and broken life is viewed through the lens of God’s sovereignty and purpose, everything else appears in proper perspective to the pastor. A accurate view of oneself, against the backdrop of God’s larger mission, gives meaning to brokenness. This is why I rarely talk a pastor, or a missionary, out of what he is feeling, or going through. I have no right to that. Neither can I do much to change the hard circumstances that have contributed to his brokenness. He, too, has no access to alter his history. All I can do is speak of Jesus, his love, his sovereignty and the larger purpose of his mission. I also carefully suggest that God allows brokenness to further advance his purpose. Like Paul in prison we are able to say, “I want you to know, brothers, that what has happened to me has really served to advance the gospel, so that it has become known throughout the whole imperial guard and to all the rest that my imprisonment is for Christ.” (Phil 1:12-13) Once the pastor views his broken, frail and fragile life next to what Jesus is doing, he sees it all differently, especially his own experiences. I love that moment when the eyes light up; the chin lifts and a long sigh releases the burdens of a heavy heart. Why? Perspective! A selfish, self-centered view of oneself, the sort driven by desire for recognition, will not allow a pastor, or any of us for that matter, to see what God is really doing. I know the message has gotten through when I hear the pastor say something like this: “You know, I think God actually wanted me to go through this. It is helping me to see better what he is doing. My trial, and this burden I carry, this difficult church, antagonistic people, are allowing me to see him and what he is doing in a new, fresh way.” This willingness to allow the broken dreams of a great life, to stand now in the foreground as vulnerable and weak, roots the pastor more deeply in his relationship with God and brings deeper meaning to the pastor’s life and his ministry.